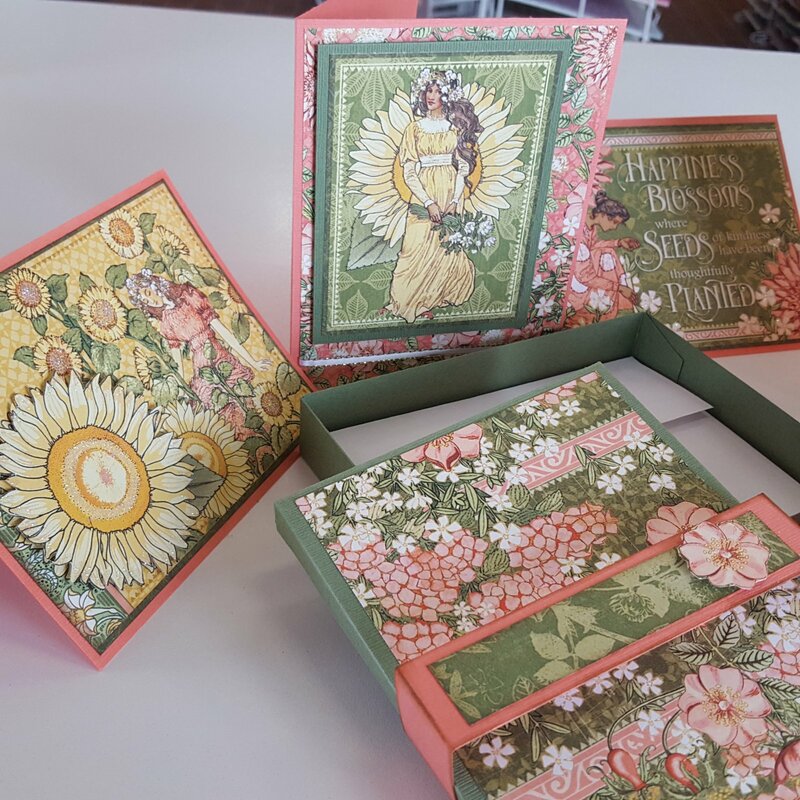 Join Margie on Monday May 13th and create your own beautiful 6 card box set with the lovely graphic 45 "Garden Goddess" line. Make 6 all occassions cards with envelopes that fit in their own matching card box. Easily used as a gift or keep for yourself.